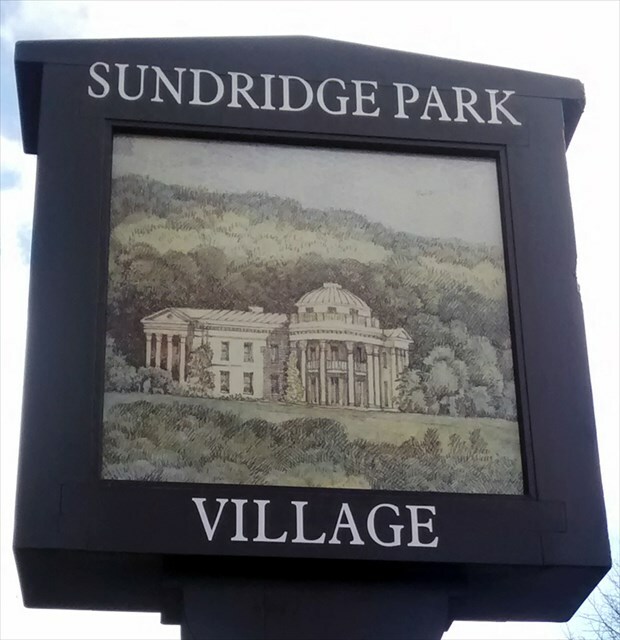 Sundridge, or Sundresse as it was originally known, was first mentioned in a charter dated 987. It was in the hands of the Le Blund family for several centuries from around 1220. Sir Claude Scott purchased a three-storey brick house on the southern slope of the Quaggy River valley in 1795 and demolished it on the advice of Humphry Repton, building the present mansion on the opposite slope and creating the park. The stately home, now a Grade 1 Listed Building, was designed by John Nash and the work was completed under the direction of Samuel Wyatt. It has been used as a management and conference centre and is surrounded by a golf club. When the railway line to Bromley North was built the Scott family had a station built for their private use, which was later rebuilt and opened to the public as Sundridge Park in 1896. The local shopkeepers organised the erection of the village sign in 2013, as part of their campaign to improve the area. The cache, a nano tube, is located a short walk from the sign.